Proguard Self Storage is excited to announce that the moment you’ve all been waiting for is finally here! Our Memorial City location has finally had its grand opening just in time for the New Year. Opened to the public at the end of 2018, this Self Storage location boasts a long list of cutting-edge security and convenience features. Start your New Year off right and visit us to see the location for yourself! 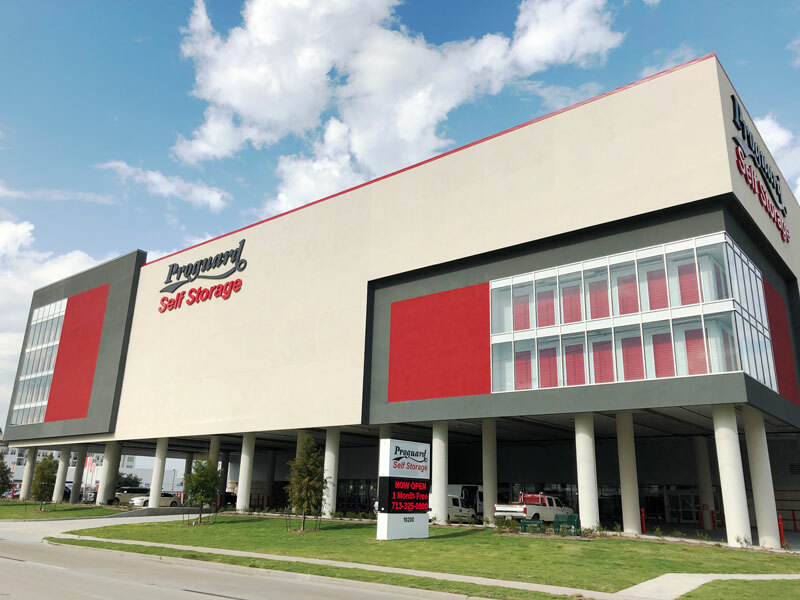 Whether you’re getting ready to move to Texas, or looking for the best way to store college furniture over the summer, Proguard Self Storage in Memorial City will help you find the perfect unit. Our agents can even help with handy storage tips. Proguard customer reviews consistently rate us at the top for service, security and cleanliness. Our Memorial City self-storage will live up to these expectations, with coded entry, individual alarms on each unit, well-lit grounds, 8′ security fences, and video surveillance. Like all Proguard locations, this facility is designed with time-saving, convenience-adding features such as industrial-sized elevators, free loading carts, intercoms, extra-wide driveways, covered loading/unloading area, restrooms and water fountains for customer use, and lots more amenities for self storage. We will also offer packing supplies to make your move even easier. Not sure how much storage space you actually need? You can use our convenient space calculator to determine how much storage space is necessary. If you’re looking for storage in another neighborhood, see one of our other self storage locations in Bellaire and Meyerland, Bear Creek and Copperfield, Houston Medical Center and Memorial Heights and more. Happy New Year, Houston! Visit us soon. We’re waiting for you.